In the future, residents will be able to use sustainable cooling, heating and electricity and invest in energy from local wind turbines. When realised, the master plan will provide a new way of living based on the most advanced 21st-century infrastructure and technology. 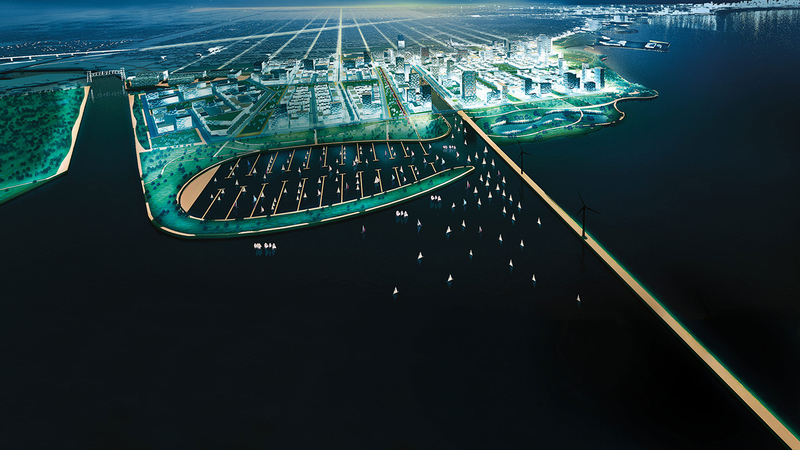 Ramboll has proposed a design concept for sustainable energy, water management and waste management. The concept will reduce the use of fossil energy by 90%, while the use of potable water will be reduced by 60%. About 90% of stormwater will be infiltrated and directed to Lake Michigan, and efficient systems to sort waste will reduce landfill to 1% of total waste. A neighbourhood utility will be established to secure a comprehensive implementation of the concept. The Chicago Lakeside urban design strategy is believed to be key differentiator compared to other urban development projects that will increase the value of the land asset far beyond the investment costs associated with the investments. The Chicago Lakeside masterplan won the Sustainia Community Award - the solution that received the most votes from the general public. The award is given annually to a solution, technology or project with a significant potential to help build a more sustainable future.